The Walkabout Hemi Rollator has a lightweight aluminum frame. It folds quickly and easily into a compact unit for storage or transport. It features a padded seat and a removable padded straight backbar for comfort and safety. It includes a basket that can be placed underneath the seat or in front for carrying personal items. 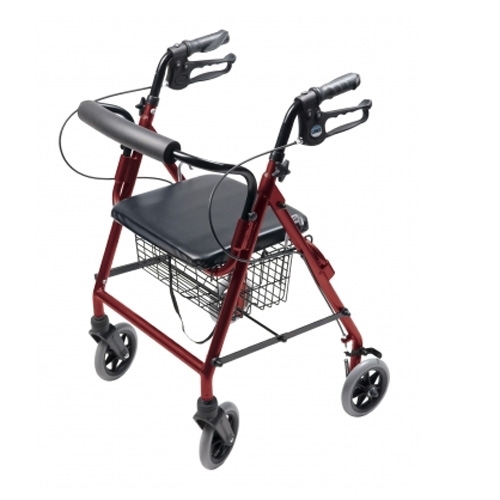 It has adjustable height handle to accommodate a broad range of user heights.